Caption slip reads: "Photographer: Hecht. Date: 1953-12-01. Reporter: Emerson. Assignment: Grand Jury investigation. 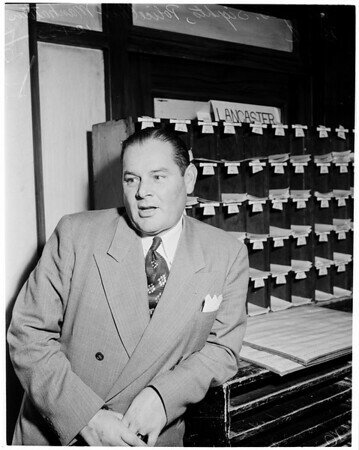 48-49: Harry G. Sights (Manhattan Beach Chief of Police)."